It’s my favourite time of the school year. The time when Year 7s work on their Passport to Asia project. So what is P2A about? Well, it’s a PBL unit where students learn about a country in Asia for 3-5 weeks. In a previous years, the unit was a combined English and Humanities unit. This year it has been extended to include Science and Maths. Students have to complete a Maths and Science component as part of their project. In 2011 my Year 7 students were given Korea as their country and they chose to look at both North and South Korea. They compared cultures, traditions, systems of government as well as tourism of both countries. 2012 saw my Year 7 students look at Malaysia which was a different experience to the previous year. Last year the students studied China. The best part of the project was that despite being a multi-cultural school, each year that we have been doing P2A, there have been no students in my class from the chosen country. This allows all of them to learn about a new country and to experience the excitement of immersing themselves in the country’s culture for a few weeks. Students get to chose their area of learning. We start off with brainstorming questions that they would like to answer about their country. These questions allow them to explore different aspects of the country’s culture and people. The teachers run a few guided engagement lessons on topics we feel that they should know about as well as toolbox lessons. Toolbox lessons allow us to target skills that the students will need during the unit of work. This year my Year 7s are learning about Japan. They are excited especially since they are interested in anime, manga, cars and Japanese pop music (J-pop). They are already practicing Japanese dances, building kamishibais and 3-D origami figures as well as creating their own maps of Japan and their passports. They will use these passports to visit the other 6 Year 7 classes and get them stamped. This year we’ve even invited parents and teachers from local schools to come and see the exhibitions- next year it will be open to primary school students in the local area. I like this unit of work because you get to see the students work together with each other and learn how to manage their time. For the most part, they self-regulate and learn how to negotiate with each other. As a teacher, I enjoy sitting with them, helping them paint and getting to know them. For me it’s the best time to get to learn more about my students. Some teachers do not enjoy this unit because it is not “structured” and does not follow the curriculum topics specified in the frameworks. For me, it’s an opportunity to teach them skills from the curriculum as well as to strengthen their pre-existing skills. Students learn more from this unit of work and remember it in their later years. When they see the current year 7s working on it, they always ask me if they can do it again. It allows them to learn about a country in their own way and the freedom to explore their areas of interest. Each year we build upon this unit of work and it shows us that PBL develops independent learning and collaborative skills. 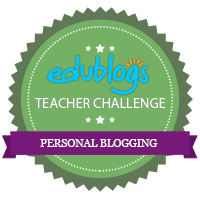 This entry was posted in PBL and tagged AITSL 3.6.